The first 29 chapters of Jeremiah mark the beginning of God’s redemptive plan for Judah and Israel. In those chapters, Jeremiah prophesied the punishment that Judah and Israel would endure for their sins. Now in chapters 30-33 we find a second stage for God’s redemptive plan. These chapters are known as “The Book of Comfort” or “The Book of Consolation.” They promise restoration for Israel and Judah (chapter 30)—the joyful return of the exiles and a new covenant (chapter 31)—the assurance of the people’s return (chapter 32)—and healing after punishment and the establishment of a righteous branch (chapter 33). The message in our verses is one of the greatest messages that the Old Testament contains. This is a prophecy that foretells Christianity, that anticipates the New Testament. When Jeremiah delivers this oracle, he speaks as a Christian born long before its time. It was these words our Lord was thinking when He instituted the sacrament of the Last Supper, and said, “This cup is the new covenant in my blood.” That New Covenant was neither more nor less than the New Covenant of which Jeremiah prophesied. To fully understand Jeremiah’s meaning, we need to change the word “covenant” to “religion.” If we think of the actual creation of Christianity, the significance of Jeremiah’s teaching will begin to dawn on us. The word “religion” does not occur in the Old Testament, but the word “covenant” is found some three hundred times. When it is used to describe the relation of the people to God, then it really means religion. The core of the covenant is, “I will be their God, and they shall be my people.” There are no better words than these to use for defining our relation to God. for the most amazing part, while we will all still sin, we will not have evil hearts. While there was forgiveness of sin under the former covenant, the blood of Christ was not yet been shed for it. Sin was categorized into types and allowances were more annual, with a remembrance of sin made every year. The people were never very clear about sin, hence the need for the constant application of laws. Even forgiveness was not clearly understood as something attainable by all. 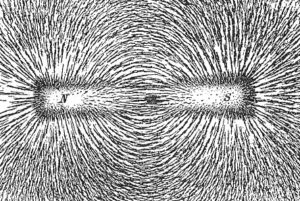 A magnet attracts objects and so does Christianity. What is it about your faith that others would find appealing? Can a person’s faith repel, just like a magnet? How does that work? 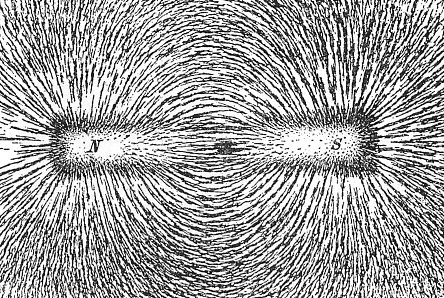 A magnetic field is defined as: a force or region around magnetic material within which the force of magnetism (attraction or repulsion) acts. How would use this definition to describe a person’s faith walk and outreach to others they may encounter? 20 Now there were some Greeks among those who went up to worship at the festival. 21 They came to Philip, who was from Bethsaida in Galilee, with a request. “Sir,” they said, “we would like to see Jesus.” 22 Philip went to tell Andrew; Andrew and Philip in turn told Jesus. 23 Jesus replied, “The hour has come for the Son of Man to be glorified. 24 Very truly I tell you, unless a kernel of wheat falls to the ground and dies, it remains only a single seed. But if it dies, it produces many seeds. 25 Anyone who loves their life will lose it, while anyone who hates their life in this world will keep it for eternal life. 26 Whoever serves me must follow me; and where I am, my servant also will be. My Father will honor the one who serves me. 27 “Now my soul is troubled, and what shall I say? ‘Father, save me from this hour’? No, it was for this very reason I came to this hour. 28 Father, glorify your name!” Then a voice came from heaven, “I have glorified it, and will glorify it again.” 29 The crowd that was there and heard it said it had thundered; others said an angel had spoken to him. 30 Jesus said, “This voice was for your benefit, not mine. 31 Now is the time for judgment on this world; now the prince of this world will be driven out. 32 And I, when I am lifted up from the earth, will draw all people to myself.” 33 He said this to show the kind of death he was going to die. To find Jesus we must look to death. To refuse to acknowledge the reality of death, to avoid or deny death, we will not ever see Jesus. Facing death is difficult work. There is a temptation to want to skip over death and get to resurrection. It is no coincidence that as Holy Week approaches, we are reminded that death is but a gateway to new life. Death must come first. Death is not always, however, physical. Sometimes it is spiritual or emotional. We can die a thousand deaths every day. There are the deaths of relationships, marriages, hopes, dreams, careers, health, beliefs, and so on. Within death is hidden Resurrection but there can be no resurrection without a death. If we avoid death we avoid life. To be afraid to die is to be afraid to live. Jesus did not ask to be saved from death. He was unwilling to settle for survival when the fullness of God’s life was before Him. Jesus knew that in God’s world strength is found in weakness, victory looks like defeat, and life is born of death. This is what allowed Jesus to ride triumphantly into Jerusalem, a city that will condemn and kill him. It does the same for us. It is what allows us to ride triumphantly through life. Triumph doesn’t mean that we get our way or that we avoid death. It means death is a gateway not a prison and the beginning not the end. Jesus’ death would be the only way that people could enter God’s kingdom. Jesus used a familiar situation in nature to explain why he had to die. There is only one way for a seed to produce more seeds. The seed must fall into the ground. Jesus compared this to His death. If the seed does not die, it will not produce more seeds. Furthermore, Jesus had to die as a sacrifice, receiving the punishment that we all deserve. Jesus also he had to show that He had power over death, proving eternal life. Jesus knew that he would suffer, be rejected and hated. Death would come in the cruellest way. Jesus was innocent, but He was suffering instead for guilty people. And everyone is guilty of sin. Jesus took upon himself every person’s sins, whether they are past, present or future. In spite of the weight of death, Jesus’s life was magnetic. People joined Him, both in life and in death. It is the powerful draw of eternal salvation that powers the magnet here. When you think about the number of people who believe in Christ, how does that make you feel? Why do you think people would be attracted to something as painful as Christ’s experience of the Cross? What are the most effective ways to demonstrate the power of TRUTH to the world? How should we describe Jesus to our family members, friends, congregation, workers, neighbors and people of the world?